12 killed, 72 shot , 17 emergency life-saving operations , 12 MDC MPs arrested in last week’s crippling strike, welcome to Zimbabwe! 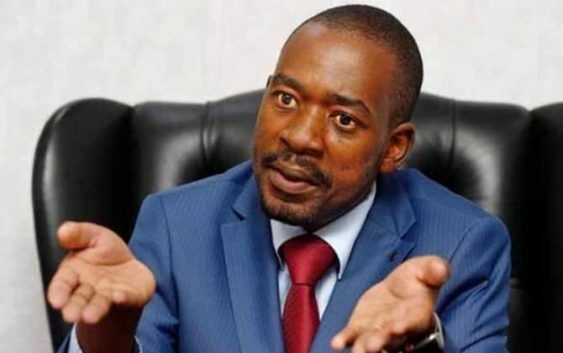 Dozens of MDC officials and civic society leaders have gone into hiding as there is no let up by government against pro-democracy and political activists it accuses of being part of last week’s crippling strike. Despite the withering criticism of government by the international community, security forces were at the weekend accused of abducting relatives of opposition figures and civic society leaders – ostensibly to force them to reveal their whereabouts – although the authorities deny this. At the weekend suspected security agents allegedly stormed the home of Crisis in Zimbabwe Coalition (CiCZ) chairperson Rashid Mahiya’s parents in Chitungwiza and “seized” his mother as they demanded to know his whereabouts. Government has accused the CiCZ of having played a part in last week’s chaos although the organisation has robustly denied the claims, which followed after detectives had twice, allegedly harassed its staff. “Crisis in Zimbabwe Coalition national chairperson Rashid Mahiya’s mother . . . Hilda Mahiya was reportedly abducted by soldiers this afternoon at her residence in Unit K, Chitungwiza. “The soldiers claimed they were looking for son Rashid. As of now we do not have information on her whereabouts, and we are worried about her life. “We condemn this cowardly and barbaric act by the military which has mutated into a murderous army,” Crisis Coalition regional co-ordinator Blessing Vava said in an alert issued at the weekend. “In the same vein, we demand her unconditional release, and all other missing persons that have been abducted around the country by the rogue security forces. “We further reiterate our call to Sadc, AU (African Union) and the international community at large to urgently intervene in the deterioration of human rights and a humanitarian crisis in Zimbabwe. “Also of major concern is the continued criminalisation of civil society work and the wanton threats of closing down institutions advocating for the supremacy of human rights and entrenchment of democratic processes,” he added. Outspoken leader of the Association of the Rural Teachers of Zimbabwe (Artuz) Obert Masaraure was allegedly seized at his home on Friday by unknown gunmen before he was dumped near a police station after members of the civic society movement sent out distressed calls. Yesterday the MDC said several of its MPs in Chitungwiza had gone into hiding as they feared being seized in the on-going government crackdown against dissenting voices. It said its four MPs – Maxwell Mavhunga (Chitungwiza South), Godfrey Sithole (Chitungwiza North), Goodrich Chimbaira (Zengeza East) and Dickson Tarusenga (St Mary’s) – had fled their homes. In the case of Sithole, his family members and relatives were said to have fled their homes after suspected security agents allegedly threatened to “deal with them” if they refused to reveal his location. Mavhunga said his life was in danger and would come out of hiding if his safety was guaranteed by government. “I am aware that State security agents are looking for me…but I have not committed any offence… however I have been duly informed that it is not the police who have been hunting for me but the CIO (Central Intelligence Organisation) operatives and the military. “I am a law abiding citizen and a Member of Parliament not mentioning that I am also a member of Parliamentary Legal Committee. I therefore request that my safety be guaranteed before I can come back and hand over myself,” a distraught Mavhunga told the Daily News. Government has been accused of unleashing terror on the opposition and pro-democracy movement following riots which broke out last week as thousands of long suffering citizens protested sharp fuel hikes announced by President Emmerson Mnangagwa. At least 12 people have been killed, 72 shot and wounded while 17 had to undergo emergence life-saving operations during a vicious campaign blamed on the military and police. However, both the military and police have sought to deflect the blame on imposters and deserters. “Some of these uniforms worn by criminals were seized by rogue elements during the recent riots in Epworth and Chegutu. A case in point is a recent arrest of five armed robbers in Epworth, Harare, on January 14, 2019, who were using police and military regalia to commit armed robberies after hiring vehicles from car rental companies. “We are therefore giving an ultimatum to individuals who have retired, deserted, absented themselves without official leave (AWOL) from service to immediately handover uniforms either to the police or the Zimbabwe Defence Forces. Five killed in accident along the Chinhoyi-Chegutu road early this morning after the vehicle rolled and threw them 20 metres from the road.